Es Convent d'Ariany in Ariany is a small-scale hotel with 11 Rooms. Located in a 19th-century convent, this modern hotel offers spacious suites with a furnished patio and views of the Ariany landscape. It has a seasonal outdoor pool and free Wi-Fi throughout. Es Convent d’Ariany’s suites feature an elegant décor with dark hardwood floors contrasted with white walls, and black and white contemporary furnishings. 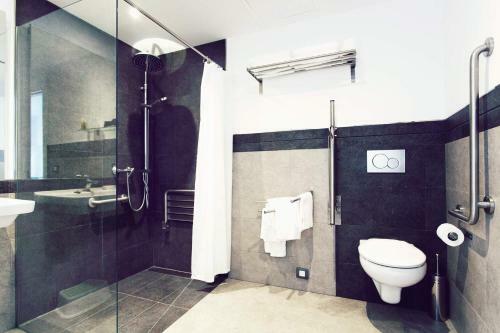 The modern bathroom with shower includes a hairdryer. 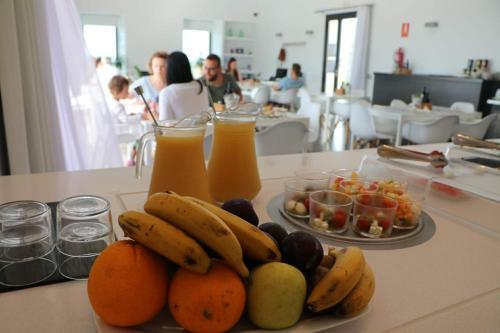 The hotel offers breakfast and dinner in its restaurant, which has a varied buffet and wonderful vi...ews of Es Pla de Mallorca. There are some shops and restaurants in the village. You will also find in Es Convent d'Ariany a large multifunctional room to relax. The seaside resort of Ca’n Picafort and its sandy beaches can be reached in about 20 minutes by car. Port d’Alcúdia Ferry Terminal, with regular crossings to Maó, Ciutadella and Barcelona, is just 30 minutes’ drive away. Es Convent d’Ariany is a social tourism project for people with disabilities. Its staff members include 5 disabled persons. Located in a 19th-century convent, this modern hotel offers spacious suites with a furnished patio and views of the Ariany landscape. It has a seasona...l outdoor pool and free Wi-Fi throughout. Es Convent d’Ariany’s suites feature an elegant décor with dark hardwood floors contrasted with white walls, and black and white contemporary furnishings. The modern bathroom with shower includes a hairdryer. 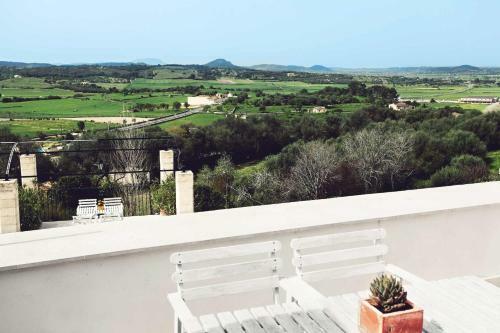 The hotel offers breakfast and dinner in its restaurant, which has a varied buffet and wonderful views of Es Pla de Mallorca. There are some shops and restaurants in the village. You will also find in Es Convent d'Ariany a large multifunctional room to relax. The seaside resort of Ca’n Picafort and its sandy beaches can be reached in about 20 minutes by car. Port d’Alcúdia Ferry Terminal, with regular crossings to Maó, Ciutadella and Barcelona, is just 30 minutes’ drive away. Es Convent d’Ariany is a social tourism project for people with disabilities. Its staff members include 5 disabled persons. 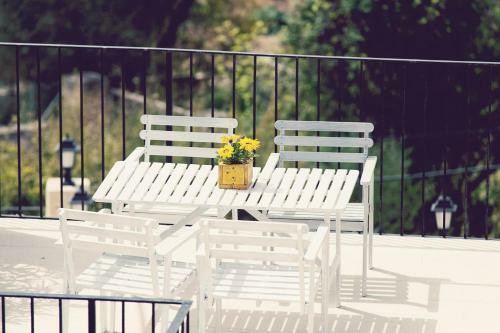 When would you like to stay at Es Convent d'Ariany? Guests are required to show a photo identification and credit card upon check-in. Please note that all Special Requests are subject to availability and additional charges may apply. Swimming pool is closed from Thu 31 Jan 2019 until Fri 31 May 2019 Please note, children 4 years old or younger can only be accommodated in cots. There is no possiblity for extra beds. Please note that check-in is automated. A few days before your arrival you will receive an email from the property with more information.